The biggest frustrations for the food industry is how quickly Avocados go brown and the waste involved. 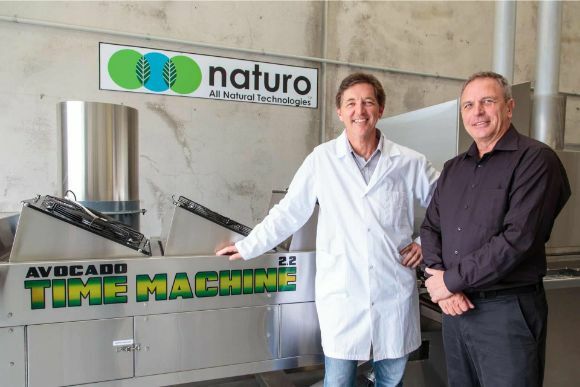 Naturo developed the world-first ‘All Natural’ Natavo Zero™ technology which addresses the issue of avocado browning and is setting a new standard in IQF Avocados. ”The Natavo Frozen Avocado product tastes just like fresh avocado. It looks like fresh, has great colour and doesn’t go brown. It is ideal for my customers Sushi and Salad applications. Natavo™ products have a remarkable shelf life, are 100% natural, taste great and come in frozen sliced avocado, frozen avocado chunks and frozen smashed avocado. It’s IQF Avocado like you have never seen before. Every great dream begins with a dreamer ... or inventor in our case. Naturo is an international food innovation company that believes food should be fresh, safe to eat, free of chemicals, additives & preservatives and be great tasting. That’s why we strive to develop ‘world-first’ food technology and products that delivers just that. WANT TO KNOW MORE? REQUEST A PRODUCT INFORMATION KIT TODAY!